Mumbai: The Narsee Monjee Institute of Management Studies (NMIMS), Mumbai has emergedvictorious in the popular ‘The Hero Campus Challenge’ (THCC), winning a cash prize ofRs. 2 lakh along with Pre-Placement Interview (PPI) offers from Hero MotoCorp, the world’s largest two-wheeler manufacturer. The team from NMIMS won the coveted trophy after a gruelling final round of the competition, which saw participation from over 9000 students of the elite business schools and engineering institutes in the country. The team from Mudra Institute of Communications (MICA), Ahmedabad came a close second while Xavier Institute of Management (XIM) Bhubaneshwar were declared 2nd Runner-Up. The runner-ups were also granted PPIs. Pursuing its aim to nurture the future business leaders in the country, Hero MotoCorp Ltd., the world’s largest two-wheeler manufacturer, organises the popular ‘The Hero Campus Challenge’ (THCC). Launched in 2015, The Hero Campus Challenge is a campus-centric,business-solutions oriented competition, which isconducted across the premier management and engineering schools of the country. THCC aims at building business-acumen amonsgt students, providing them with an avenue to put their theoritical knowldege into practice. The participants are given a series of real-life global industry scenarios and problems to tackle and are required to provide innovative and practical solutions to the problems. 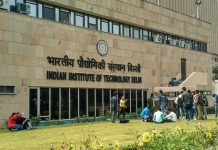 The 2017 edition of THCC saw participation from India’s premier B-Schools and Engineering colleges, such as IIMs, IITs, NITs, XLRI, NMIMS, IMT-Ghaziabad, MICA and BITS Pilani etc. The participants formed separate teams comprising of three members, which translated to 3000 teams competing for the top honors. Out of these only 10 teams were shortlisted for the final round. The finalists presented their findings in front of a jury comprising of the Senior Leadership Team members of Hero MotoCorp. 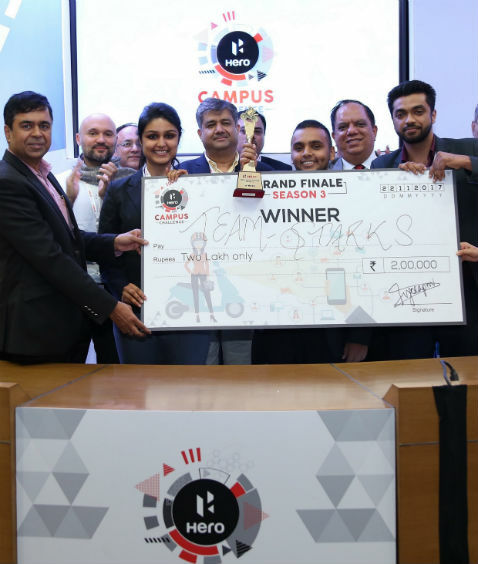 Since the introduction of the platform, the Hero Campus Challenge has garnered tremendous credibility and popularity among the management and engineering student fraternity in India. The participation has grown manifolds since the first edition and close to 15,000 students have participated in the contest so far. MDI Gurugram won the first edition of THCC while IIM Bangalore captured the top spot in the second edition. Hero MotoCorp is the market leader with a continuous and unwavering focus on capturing the customers’ needs and aspirations and translating them to winning products. This philosophy is essential for the business leaders of tomorrow as well, especially in the fast evolving world of today, to stay ahead of the curve.